One of those books that you ask yourself why you didn't read as soon as you laid your hands on it! Having now read The Long and Faraway Gone by Lou Berney, I am wowed by its brilliant writing and unique story. Berney has taken two tragic events and shown readers how loss and survival can become overwhelming definitions to a life, a life lived in the shadow of enormous loss and guilt of survival. Answers to the "why" of tragedy often plague those left behind and prevent connection with the life left to live. So it is for the two main characters of this novel, Wyatt and Julianna, survivors of two separate tragedies, but seekers of answers to why. The summer of 1986 in Oklahoma City was the scene of one of those tragic events that become a landmark of time, when people remember where they were in their life at the time of a certain crime or horrendous act. On a hot August night, a movie theater is robbed and six employees, five of them teenagers, are left behind dead from an execution style shooting. Miraculously, there is also one survivor in the carnage of death and despair, one teenage boy who escapes the fate of his friends and co-workers. The lone survivor as well as the senseless deaths baffle those faced with solving this crime. It's nothing to how survival baffles the lone survivor, who ends up moving away from Oklahoma City, changing his name, and putting a twenty-five year distance between the scene of his living nightmare and his newly adopted life. . That the three murders were caught up with only a couple of months after the killings and were themselves killed in a shoot-out with law enforcement does nothing to answer Wyatt's big "why." But, twenty-five years later, Wyatt has created a successful life for himself as a private investigator, living in Las Vegas and keeping that distance between his present and his past intact. Then, he agrees to take on a case before he realizes that the case is in Oklahoma City and that he will have to travel there to deal with it. As the person who has asked him to take the case is a major source of his investigation cases, Wyatt feels he has no choice but to honor his agreement. From the moment Wyatt returns to the city that forever marked his life, the memories, both good and horrendous, pull at him and beg to be given attention, and the "why" question that has shaped his life of surface existence demands answers. Working the case for his Las Vegas connection and re-examining the past will bring pain and danger that will require Wyatt to call on every skill of survival he has. There was another tragic occurrence for another young person in the waning days of the summer of 1986 in Oklahoma City, and while it didn't garner the attention of a mass murder scene, it too would affect the life of a survivor and sentence her to a lonely existence of wondering and wanting answers. Julianna was just twelve when her seventeen-year-old sister Genevieve disappeared at the Oklahoma State Fair when the two sisters were attending together, and no trace of Genevieve was ever found. Julianna has so many questions she needs answers to, including why Genevieve left her alone to go seek out a carney and why she never came back for her. Working as a nurse in Oklahoma City twenty-five years later, Julianna, too, has made a decent life for herself, although her life, like Wyatt's, is devoid of any real closeness to others. When Julianna learns that the now ex-carney, who was the first suspect in her sister's disappearance, has returned to Oklahoma City, Julianna digs in her efforts to have her questions answered, whatever the cost. The two stories that Lou Berney tells never seem to be abrupt changes from one story to another, as Wyatt and Julianna are forever connected through their loss and their search for answers, the all-consuming "why" of their lives. And, what is so heart-wrenching for these characters becomes so real for the readers, as Lou Berney makes the reader feel the loss of lives cut short, what might have been but never was. The characters never become pitiful or whinny or annoying in their need for answers. Some losses are harder to move on from than others, especially those with such mysterious loss of resolution. The author flawlessly blends past and present into a hauntingly fascinating story that is easily one of my favorite reads this year. Anne Cleeland writes it and I read it. I know when I sit down with one of her books, be it in one of my favorite series featuring Lord Acton and DCI Doyle or one of the author's stand-alone books, I am in for an adventure that sweeps me away. After reading Anne's latest, The Bengal Bridegift, I sighed happily and thought to myself that I had just had so much fun reading it. And, then I realized that one of the aspects of her remarkable characters is their witty dialogue. No one does witty dialogue better than Anne Cleeland. Another part of her successful characters is the presence of both a male lead character and a female lead character, and the larger-than-life male meets his match in the enterprising, resourceful female. It's a most satisfying arrangement. And, the stories that Anne creates with these characters do justice to the characters' existence. Of course, the settings are exciting, too, whether it be foggy London or the high seas. The Bengal Bridegift has pirates. That's really all I should need to say to entice readers, but I suppose a bit more might sweeten the pot for someone who isn't as thrilled with pirates as I am, if such people really can be found. But, before the pirate, there is a young English girl, who finds her world, which has been in India as a small child, turned on its head. Her father, and employee of the East India Trading Company, is dead, and the convent school in Calcutta she attended has been attacked and ransacked. Saving herself by hiding in a chicken coop, Juno Payne survives the attack only to come to face with a Barbary pirate, a Dutchman named Jost Van dar Haar. With little choice, she accepts help from this handsome pirate as she endeavors to gather her brother Horry, who is at the fort hospital with malaria, and make her way to England, where she has financial matters to see to and hopes to find a doctor and treatment for Horry. Juno soon learns that she has a most pressing matter to resolve, one of life and death. Rumors are that her father left her a bridegift of an impressive cache of diamonds hidden somewhere safe, but Juno had no knowledge of this fortune. When Juno tells Jost that she is engaged to her father's financier, a Nabob, the pirate suggests that the Nabob is interested in her bridegift, which is the first word of it Juno hears. It certainly won't be the last word of it, as there are men from different factions that are trying to find it and steal it. Not sure if she believes such a gift exists but unable to convince anyone else that it doesn't, Juno and Horry must flee India and solve this mystery of the missing diamonds if they are to live. The pirate Jost is Juno's only viable means of escape, so she must rely on his sworn friendship with her father as proof that Jost can be trusted. The way to England will be fraught with many obstacles and much danger. There are enemies seemingly everywhere, including England. And, readers will love every minute of the treacherous journey with Juno and Jost. Thank you, Anne Cleeland for yet another great tale. I can't wait for your next one. Reading Carla Buckley's first book, The Things That Keep Us Here, and meeting her right after that book had been published was a gift readers don't often receive. Being in on the ground floor of an amazing author's works is winning the reading lottery. Now, in her fourth book, Buckley has long since established herself as an accomplished storyteller, with the ability to score an emotional impact with her tales of families and their struggles to remain intact. Comparisons to Jodi Piccoult are formed from this powerful effect that family members have upon one another, the consequences that must be dealt with and survived. Carla Buckley owns your heart when she tells a story. Arden Falcone and Rory Falcone are first cousins who have grown up more like sisters, with their fathers being brothers and Arden's mother and Rory's father operating a Washington, D.C. restaurant together. Rory appears the leader, with her popularity and ease of relationships often overshadowing Arden's more reserved, quiet demeanor. When it comes time to go to college, the girls had chosen schools on opposite sides of the country due to their interests, but Rory's father, Vince, made a bad business investment that costs both families dearly, so the girls end up at a nearby Maryland college that is small and not on any top college list. Rooming together seems to be the natural thing to do, although Arden's mother, Natalie, has her reservations about it. But, the story of how the girls ended up at the same college in the same dorm room and how that continued closeness affected their lives comes after Natalie receives receives a devastating phone call in the very first chapter. Arden and Rory have been in an all consuming fire that started in their dorm room and have been taken to the hospital where they are fighting for their lives. A friend of theirs is dead in that fire. Both sets of parents rush to the hospital to find their daughters in ICU, unconscious and with life threatening injuries. The wait commences to see if the girls regain consciousness and if they can overcome the seemingly impossible. The story is told from three viewpoints, with alternating chapters. Natalie, Arden, and Rory all bring their perspectives and knowledge of how they arrived at this tragedy, at this crucial point in their lives. Natalie's POV is in the present, with some backtracking. Arden and Rory speak from the past, bringing us to the point of the explosive action. Love, hate, loyalty, betrayal. It's not a straight line, and it's full of secrets that fester. As the police conduct the investigation into how and why the fire started, the parents are faced with the unraveling of perfection in the daughters they love. But, then, parents and children both are revealed for who they really are and aren't. Innocence and guilt are slippery concepts, and assigning blame is an exercise in futility. Carla Buckley has once again proved her superior skills at the psychological thriller. There is no rest for the reader in this suspenseful tale. Great character development with the characters true selves revealed layer by layer, vignette by vignette. The brilliant structure of big beginning and big ending, with the story told through the three POVs keeps the reader engaged completely. I can't wait to see what Carla Buckley has in store for us next. There are those book series with which I’m so besotted that a new book in the series has me fairly dancing to begin. Of course, the down side is that the book only has a countable number of pages. So it began when I received my advanced reader’s copy of Anne Cleeland’s latest New Scotland Yard Mystery starring Chief Inspector Michael Acton and Detective Sergeant Kathleen Doyle, Murder in Hindsight. Euphoria upon opening the cover and reading this fascinating story and dreading the end, where you long for just one more scene, one more glimpse at one of mystery’s most unique duo. Murder in Hindsight presents Detective Sergeant Kathleen Doyle with a real connect-the-dots case. Trying to ease Chief Inspector Acton’s worries over his trouble prone wife, she has taken up the job of reviewing cold cases. But, Doyle becomes involved despite her best intentions and her husband’s over protectiveness in an apparent serial murder case. Someone is meting out justice that didn’t get served in the courtroom by putting a bullet in the guilty party’s head, and the murder victims are all related to different cold cases. Acton is also on the scene to investigate, but he has his own set of problems to solve, which involve a reporter whose intentions go far beyond getting the latest scoop. Doyle slowly discovers Acton’s perilous position that has him dodging scandal and ruin. Unwittingly, Doyle becomes entwined in the conspiracy against Acton as she begins communications with a man who, after he rescues her from an attack, proves to be an associate of a criminal serving time because of Acton. Doyle must figure out who she can trust if she is to stop the vigilante killings and keep Acton’s secrets, of which he has many, from destroying him and their life together. Doyle’s strong sense of loyalty and intuition will serve her well in her tasks. There are few series that have engaged me to the point that Anne Cleeland’s New Scotland Yard Mysteries. Cleeland has the ability to bring characters to your heart and bind you to them. Kathleen Doyle is so full of wit and devotion to the people she loves that she continues to delight and charm in each book, making Acton’s obsession with her completely reasonable. Lord Michael Acton never disappoints in his commitment to Doyle and to a system of justice that serves up the guilty to their just desserts. Doyle and Acton have such a complete understanding of one another that the reader will develop strong protective instincts of his/her own. The supporting characters of the ever irritating DS Isabel Munoz and Doyle’s could-have-been boyfriend, now friend, DS Thomas Williams add so much to the narrative and the life of Doyle. The stories are so intricately plotted and layered that the action is always moving forward at just the right pace. This novel is the debut for Jen J. Danna, who along with Ann Vanderlaan, has written quite a compelling forensic thriller. The amount of information on body decomposition and bone aging is enough to satisfy any forensically inclined reader. The crimes are brutal, which is somewhat outside of my comfort zone, but when the madness is finally revealed, the scheme of it all is interesting indeed. From the discovery of a single bone, Trooper Leigh Abbott, with the help of forensic anthropologist Matt Lowell, is led on a nightmarish journey to catch a serial killer. The title is a particularly appealing and telling one, with its connection to the Civil War and nameless graves of soldiers. Leigh and Matt are driven by the determination that the remains of the brutal killings will not go unidentified and will be returned to their loved ones. I'm looking forward to more from Jen Danna and this new series. 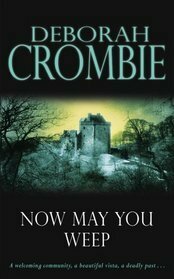 In the last novel so far of the Duncan Kincaid/Gemma James series, Deborah Crombie continues to develop the relationship and growing family of Duncan and Gemma, with Gemma newly promoted to lead a murder squad in southern London and Duncan in the midst of childcare leave from his job as as Superintendent at Scotland Yard. As usual, Duncan and Gemma both manage to become involved in the same murder investigation. This time the victim is a barrister found hogtied in a seedy hotel in the Crystal Palace area. Past events and grudges have surfaced into acts of vengeance, and Duncan and Gemma find it is indeed a tangled web. Andy Monahan is a talented guitarist who is on the verge of his big break when he finds his past from Crystal Palace could very well determine his present. As usual, the supporting cast in this novel are as well developed as the main characters, and they serve to create drama of their own. Gemma's sergeant, Melody Talbot, and Duncan's sergeant, Doug Cullen, add to the mix with witty banter and some relationship involvements. 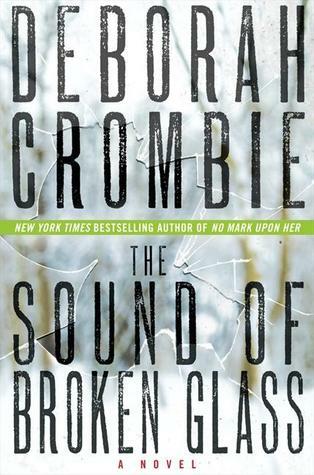 The end of this 15th book in the series leaves the reader with a cliff hanger, a bit of a change for Crombie's style. As luck would have it, I'm now caught up in the series and have to wait a year for resolution. Arghh! Continuing the excellence of this series, this novel finds Duncan Kincaid and Gemma James traveling to Cheshire to spend the Christmas holidays with Duncan's parents and his sister's family. Of course, it can't just be a calm, uneventful holiday with Duncan and Gemma. The remains of a baby are found by Duncan's sister at a building site she's renovating, and a murder happens along, too. Kit's first Christmas with his new-found grandparents and cousins proves to be quite the challenge for Duncan's son, while Toby, Gemma's son, fits in seamlessly with the ease of innocence afforded young children. Gemma's concerns about fitting in with Duncan's family are quickly put to rest and the pursuit of justice once again becomes the focus. A former acquaintance of Duncan's is the Chief Inspector investigating both the old and new deaths. As always, Crombie does a stellar job of engaging the reader with the new characters as well as the old. Creating and developing interesting characters seems to be quite the specialty of this author. Of course, with the perfection of plot and setting, it is hard to find an author with a more complete package than Deborah Crombie. Flavia de Luce continues to be one of my favorite characters in all my reading. She is a genius in her chemical meanderings and in her skill of detection, but we are often reminded that she is still indeed a child, not yet twelve. This latest entertaining tale centers around the disinterment of a saint's bones, St. Tancred, who was laid to rest in Bishop's Lacey in the church bearing his name. Hidden passages, a powerful diamond, and a dead choir master all become a part of the mystery which Flavia takes upon herself to untangle. 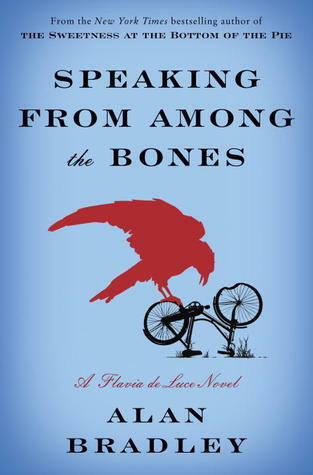 Along the way, she uncovers some interesting secrets of her mother's, whose shortened life Flavia has had to piece together herself over the years of silence from the rest of her family. Of course, Flavia's adventures are never without danger to her, and, yet, she faces danger and fear with the good sense and balance she does her life. In every marvelous book in this series, I keep wishing for 3 things for Flavia--1) good food to eat, rather than the apparent swill served by Mrs. Mullett 2) someone to love Flavia in the role of a parent and treasure her for the gem that she is 3) the financial woes of Buckshaw to disappear, leaving Flavia secure in the home she so loves. Alan Bradley has created a character and a series that will become stamped upon your heart. The wonderfully absurd titles of these enchanting books are also part of the magic. Deborah Crombie just keeps giving me everything I love in a mystery, and this time she throws in Scotland as the setting for a murder. Perfection! Gemma James, an Inspector with the British police and her friend Hazel Cavendish travel to the Highlands of Scotland to a B&B run by a former schoolmate and friend of Hazel's. Gemma quickly discovers that the weekend that she thinks is a cooking school adventure is much more personal for Hazel, who reconnects with her first and true love, Donald Brodie, and her Scottish roots. Donald is the owner of a Scottish Whiskey distillery, which has been in his family for generations. As is the fascinating norm for Deborah Crombie, she provides not only a riveting mystery, but she allows the reader to become ensconced in the scenery and history of the setting, the Highlands of Scotland and its whiskey-making traditions in this novel. While Hazel is at first a suspect in the murder that occurs, she is quickly cleared, and many others are suspect in their motives and opportunities to have done the deed. Duncan, Gemma's companion and a Superintendent at Scotland Yard arrives to help sort out the murder and lives of those involved. One of my favorite Duncan Kincaid/Gemma James so far! Gregorian chants are at the heart of Penny's latest Chief Inspector Armand Gamache mystery. A monk, the choirmaster, has been murdered on a quiet, isolated island off Quebec where the monastery of Saint-Gilbert-Entre-les-Loups has been home to the Gilbertine monks since the middle of the 17th century. Only recently discovered after centuries of obscurity, these monks have the mission of singing and preserving the purity of the Gregorian chant. Gamache and his right-hand man, Jean-Guy Beauvoir, must break through vows of silence and mistrust of outsiders to discover who amongst the holy monks could have murdered one of their own. The task is complicated by the arrival of Superintendent Sylvain Francoeur, a corrupt force in the police who would like nothing better than to be rid of Gamache. Francoeur works his own evil, while Gamache and Beauvoir search for a killer. 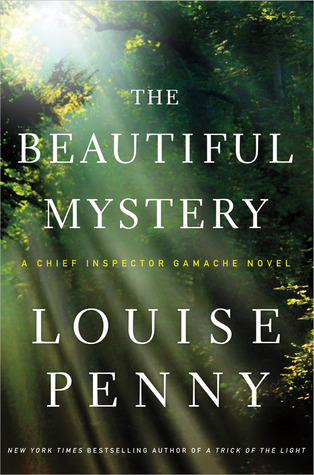 Every year, Louise Penny gifts readers with a superbly written mystery, and this year was no exception. I did miss the village of Three Pines and its endearing characters of her past novels, but I suppose even Three Pines needed a break from murder. I do hope Penny hasn't left the setting permanently. The Gregorian chant focus and the reclusive monks were an interesting departure. Gamache remains one of my favorite characters in fiction today, and the story moves at just the right pace. The character of Jean-Guy Beauvoir takes an unexpected twist, which I'm anticipating a resolution to in the next novel of the series. The ending will not particularly please fans of the series, but it is in keeping with the developing storyline of the entire fictional world of the stories. 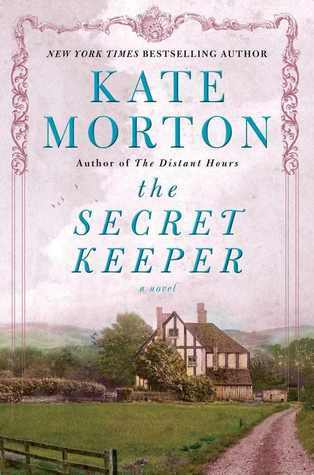 Kate Morton is one of the most consistent authors I read, as in consistent excellence. 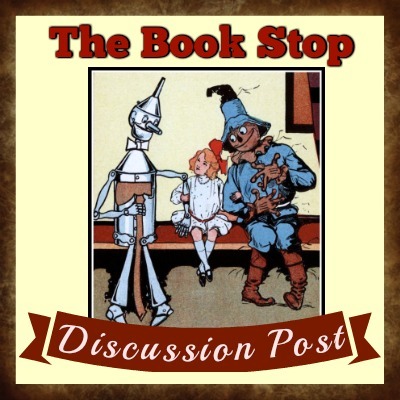 As with her previous tales, Morton has created a story with twists and turns that keep the reader on the edge of the seat trying to determine the outcome. The Secret Keeper is aptly titled. It is deliciously filled with the secrets of a lifetime, starting with Dorothy Nicolson's life in war-torn London during WWII and the discovery of inconsistencies by her daughter Laurel 50 years later. Laurel has kept her own life-shattering secret since she was 16-years-old, that of seeing her mother kill a man in their garden. The connections and revelations amaze not only Laurel and her brother, but readers will gasp at the conclusion of a life lived in quiet deception. With the reading of each of Lisa Genova's three novels, I have learned something about the workings of the mind. I like that she takes different ways in which the mind can operate from the "normal" path and explores the effects on the person experiencing that abnormality and those around the person, but with the focus on the person whose mind is in aberrant behavior. 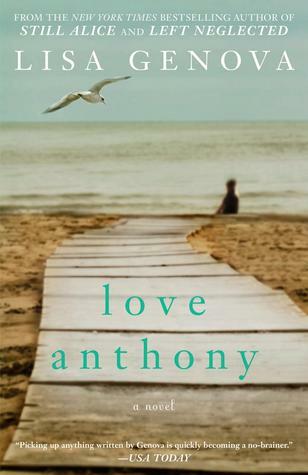 In this latest novel, Love Anthony, the brain so-called malfunction is autism. Genova states quite clearly in the afterward of her novel that she isn't trying to explain or explore the causes of autism, and the novel is not about that. We see a little more of the effect on others in the emotional aftermath of an autistic child in a family, but the story's core is unlocking the normalcy of the abnormal, as one deals with the reality that is given. While, I felt Genova's first two novels were strong 5s on the rating scale of 1-5, Love Anthony felt more like 4 or 4 1/2. I think if the reader had been able to access Anthony's thoughts a bit sooner, the impact might have been greater. Sometimes you need a series that you can go to that is predictably comforting. Such is the Aunt Dimity series by Nancy Atherton. Having just finished some rather heavy reading material, my mind and soul needed something that would soothe me and let me relax into a safe world of hope and light. Aunt Dimity's Christmas was just the ticket. Not that the book is devoid of sadness. 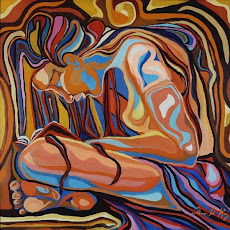 It's just that the sadness overwhelmed by by joy and positive self-discovery. I usually race through a mystery series without stopping to catch my breath, but I'm approaching this series a little differently, using a modicum of self-restraint. I am interspersing the delightful novels into my other reading, in two or three at a time, especially where I need pick-me-up and a relax-my-mind read. Of course, the setting being England, the main residence being a charming cottage, and, in this case, a snowy Christmas help to ensconce me into a world of pure magic. The storyline starts two weeks before Christmas when Lori Shepherd is planning her first perfect Christmas, with her husband, two twin boys, her father-in-law, and a host of villagers and friends. Of course, nothing goes according to plan after a stranger is found unconscious in Lori's driveway the morning after her much-wished-for snow has arrived. Viewing this discovery as a most inconvenient interruption in her plans, Lori hopes that his hospitalization in an Oxford hospital will conclude her involvement in the matter. Enter Father Julian Bright, who draws Lori into the puzzling identity of the stranger known only as Smitty to him. The search provides much more than identity information, as Lori learns just how far from perfect her plan for Christmas was and how much more Christmas and life can mean. It's always difficult to review a book that everyone seems to love and you didn't quite achieve that in reading it. In favor of Gone Girl, it was a fast read and worked as a psychological thriller quite well. I mean I definitely wanted to find out what happened to Nick, the self-absorbed, philandering husband, and Amy, the sociopath wife, and I was intrigued by the unveiling of Amy's twisted plan to ruin her husband. 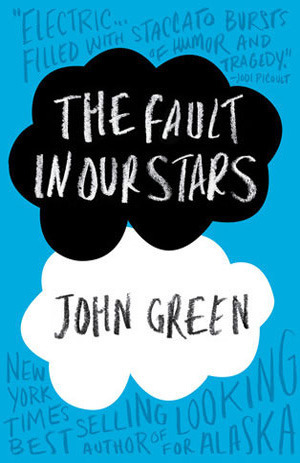 However, I found myself actually considering reading the end of the book to put to rest my wondering. I never do that! I never want to do that! So, to me, that was a red flag on this "loved by so many" book. I have nothing against dark tales, have enjoyed many such a tale (thinking Stephen King), so that wasn't really the problem. I think it has to do with the lack of redemption, the lack of anything positive. I know, I know. It's a dark, psychological thriller, not a Little House on the Prairie bedtime story. But come on, the psycho marriage of demented love? While the main characters of Nick and Amy were indeed a twisted treat, other characters, like Boney, came up short of satisfactorily developed. Of course, the format of the book with the alternating chapters told by the two main characters was the main obstacle to character development of supporting cast members. Then, there is the emphasis on plot, as in plot-driven, that interferes with character intimacy. Finally, we arrive at the ending. My thoughts on the ending range from "what?," "betrayed," "no way." The rating for this book is rather an easy choice, a 3, because I did "like" the book. I just didn't love it as many others have. 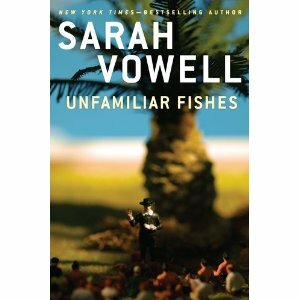 View all my reviews I'm kicking off my review page here with a book I read last year about the history of Hawaii by Sarah Vowell. Nothing I love more than truths told in quirky! I fell in love with Maggie Stiefvater's writing while reading her Wovles of Mercy Falls trilogy. I have to admit, though, that I wasn't too sure about what to expect with this latest novel. Well, I was pleasantly surprised (shouldn't have been)to have my Maggie love reaffirmed. The idea of water horses that are dangerous killers and racing them just falls together in a story that only this author could create. Her characters and setting intertwine with mythology of Ireland and Scotland to provide an unexpected tale of survival, romance, and family. Puck and Sean are two characters that embody the strength and resilience of the residents of the small island of Thisby, where every November the race of the water horses is held. Puck and Sean have different reasons for riding in this deadly race, but both have their futures at stake. It is a tale well told by one of YA's best fantasy writers. There's a good reason why this book was on my "why haven't I read this book yet" shelf. I should have read it long ago. The historical fiction aspect of the novel dealing with the Stewart claim to the English throne and the exile in France, with the Jacobites' attempts to restore the Stewarts to the throne, is an especially favorite part of history for me. The story within a story vehicle for presenting the intertwining centuries' tale is also a form to which I'm partial. Author Carrie McClelland is drawn to the Slains Castle in Scotland as she writes her lastest novel about the 1708 Jacobite attempt to land James Stewart in Scotland to reclaim the English throne. Carrie discovers her ancestral connection to this story, as the characters speak to her and guide her as to the true account. History, romance, and mystery in two centuries determine the life course of two women, related by blood and determination. 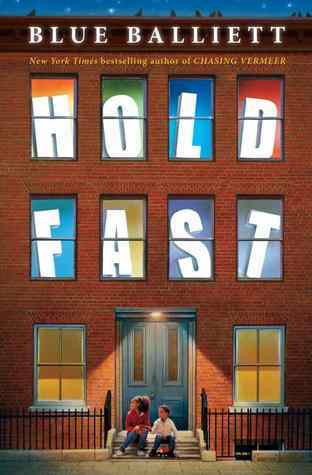 I found myself completely immersed in the drama and characters, holding my breath often in anticipation of an outcome. Great read! Scotland never lets me down. Patience is required when reading Jane Austen, never so much as in reading Emma. Ms. Austen doesn't get in a hurry, and if you are to enjoy Emma, as I thoroughly did, the reader mustn't get impatient. I admit to acquiring this patience only after the first 50 or so pages, and I was greatly rewarded for its acquisition. Relationships and characters develop at not so much a leisurely pace, as a evolved one. Emma is quite the exasperating young woman, full of herself, her position, and her sense of direction for others' lives at the beginning. One feels that a good shaking is in order to prevent her messing about with people. However, her missteps are never ill-intended or callous, and become an object of miscommunication humor. The only person who seems to be able to see clearly and through Emma's skewed vision is Mr. Knightly, who is also the only person on equal footing with Emma's forthrightness. Emma's character goes from exasperating to enjoyable due to the deft touch of Austen's wonderful prose and storytelling talent. I would prefer to rate this novel as a 4 1/2, if the rating system allowed, and may need to change to a 5 after it all has settled over me. I can now without qualification that I do indeed love Emma. Nail-biting best describes the third book in the Sally Lockhart mysteries by Philip Pullman. Sally Lockhart endures much in The Tiger in the Well, as her life is turned upside down by an unseen and unknown enemy. At the center of the chaos is the attempt to take Sally's daughter, Harriet, from her. Two of her staunchest allies, Jim Taylor and Webster Garland are away on a trip to South America, and so are completely unaware of Sally's crumbling world. A man is claiming to be Sally's husband and accusing her of abandonment, seeking her assets and her child. The plot thickens and thickens and thickens again in this unnerving mystery. Help comes from unexpected sources, but it is ultimately Sally alone who must face an evil from her past and confront its secrets. Once again, Sally Lockhart must prove herself strong and able in a world where women are considered anything but. Thanks, Tracey. I am a big fan of you and your blog, and I love reading your posts on Face Book. I will make sure you are listed in my favorite blogs section on the main page here. If you're not there already, it's just an oversight, because I definitely intended to place you there.